We are pleased to announce that Runbox now supports Bitcoin payments via the payment processor BitPay. In order to pay with Bitcoin, you will need a Bitcoin wallet. If you don’t have one already, you can set one up with BitPay. Once you have a Bitcoin wallet with some funds, you may proceed to the Runbox Payment screen to subscribe using Bitcoin. 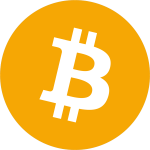 After selecting the desired products, select “Pay with Bitcoin” as the payment method.